eziFunerals understands the heavy burden on employees with the loss of a loved one and end of life decisions. That is why we have developed Australia’s first nationwide funeral planning service and Cradle2grave® coverage for valued employees. Our Employee Funeral Assistance Program supports all employees, and their immediate family members, cope with death and the funeral process. eziFunerals customised funeral benefit packages empower employees with the resources and planning tools they need to make informed decisions on difficult and costly issues facing their families at the end of life. 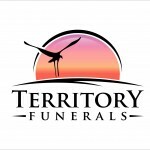 Like other employee assistance programs, eziFunerals Funeral Assistance Program is a value added benefit to industrial awards and bereavement policies, Australia wide. Grief is a normal part of life that touches all of us at some point. 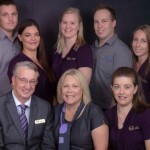 How can my employer work with eziFunerals? If you are a corporate benefits manager or life insurance company and would like to learn more about EziFunerals an employee or policy benefit, please complete the fields below to register your interest. 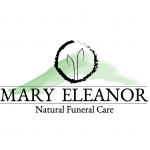 How do I know if my employer offers eziFunerals as a benefit? 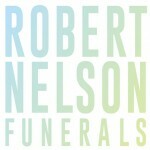 eziFunerals is offered as a value-added benefit through a network of employers and insurance companies. Ask your HR Department or company Benefits Administrator if you are eligible for eziFunerals Planning and Advisory Services. You can support employees by acknowledging their grief and offering our Funeral Assistance Programs as part of your bereavement policy. Figure out how much paid leave you can offer. A full week is a realistic choice. Decide whether the leave can be modified in specific situations, such as an employee needing to travel to a funeral. 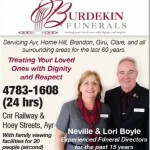 Take into account the relationship of the deceased to the bereaved employee. Recognize that the death of a loved one outside the immediate family may be equally upsetting, e.g. the loss of a grandparent. Respect cultural differences. Depending on the culture, the traditions around mourning (the public expression of grief) may take more time. Provide job guarantees for employees who take an extended leave. Make it easy for grieving employees to add vacation leave to their bereavement leave. Allow coworkers to give vacation days to bereaved colleagues. Offer no cost loans to employees for death related expenses, such as travel or funerals. Acknowledge the loss with an official gesture, such as a memorial event at work, a floral arrangement for the funeral or a charitable donation. Offer grief counselling through an employee assistance program or a community organization, such as a hospice. Ensure your bereavement policy allows for each employee’s needs and treats all employees fairly. As an employer or supervisor, you set the tone. Your response will make a lasting impression not only on bereaved employees but also on their co-workers. The compassion and respect you offer will be returned in the form of employee loyalty and retention. Offer your sympathy and ask if there is anything you can do to help. Explain your organization’s bereavement policy, if there is one. Assure employees that everything is all right at work and that their work is being looked after. Keep them in the loop if it seems appropriate but don’t overwhelm them with details. Help employees access grief counselling through an employee assistance program or community agency. Ask what the employee would like you to say to co-workers about the loss. Include a grief counsellor who can answer questions and provide support. Address any concerns staff may have, such as how to cover a bereaved co-worker’s duties. Be patient. Grief has no timeline and people grieve in their own way. Offer flexible work arrangements, such as reduced hours, fewer duties, job sharing, telecommuting or time off when necessary. Ease up on deadlines where possible or bring in extra help. Ensure supervisors understand that bereaved employees may have trouble coping and may need to leave the workplace on short notice. Have supervisors stay in close contact with them, at least for the first few days after their return to work. Meet regularly with bereaved employees (and their supervisor, if applicable) to be sure they are getting the support they need. Watch for signs that their grief has become self-destructive, such as physical changes, signs of substance abuse, isolation or feelings they can’t manage. Step in to offer counselling or other support as appropriate. Provide a quiet place where all staff can go to destress and reenergize during the work day. Allow co-workers time off to attend the funeral or memorial service, if appropriate. Offer grief support training to supervisors and staff, if appropriate.